48th Chicago International Film Festival: Six Films to See. 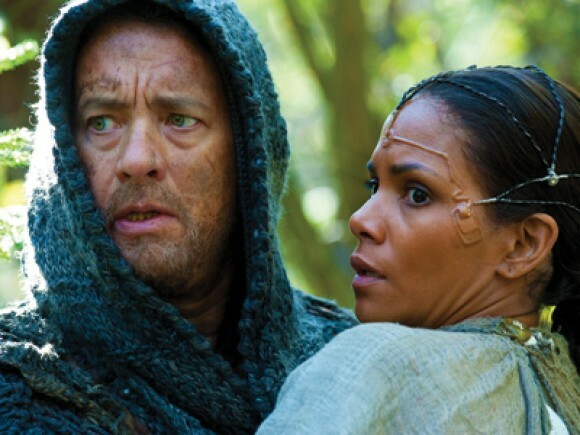 Cloud Atlas with Tom Hanks and Halle Berry--one of the 150 films creating at this year's 48th Chicago International Film Festival. CHICAGO, Monday, October 8, 2012. A film junkie's dream...the 48th Chicago International Film Festival comes to Chicago October 11th through October 25, bringing 150 films from 50 countries, big name stars, glamour packed red carpet opening ceremonies along with panel discussions and other special events. The films selected for the festival are a mix of films previously screened at film fests including Cannes. Berlin, Toronto, Gaudalajara, plus brand new submissions which will premiere in Chicago. Awards at the Chicago International Film Fest are given in five categories (see below). If you would like to attend the fest but aren't sure where to start, you can break your viewing down by country, by category, by buzz...or just hit or miss. To get an overview of the fest, you may want to start by viewing one film in each of the five award categories. Below is a primer on what type of films are in each category and a suggestion as to a film to view in that category. For a full list of the films and tickets go to the Chicago International Film Festival website. Five Award Categories in the 48th Chicago International Film Festival Competition. Beyond the Hills, Romania (Director: Cristian Mungiu) – Mungiu, who took Cannes’ top prize in 2007 with 4 Months, 3 Weeks and 2 Days, returns to feature filmmaking with another gripping existential drama. Inspired by the real-life horror of a modern-day exorcism gone-wrong, Mungiu follows two friends, Voichita and Alina, whose lives have taken them down drastically different paths. When the pair reconnects, Voichita’s stern, oppressive monastery proves to be a harsh, claustrophobic and ultimately tragic environment for Alina. Chicago Premiere. Cloud Atlas. From acclaimed filmmakers Lana Wachowski, Tom Tykwer and Andy Wachowski, the powerful and inspiring epic Cloud Atlas explores how the actions and consequences of individual lives impact one another throughout the past, present and future. Drama, mystery, action and enduring love thread through a story that unfolds in multiple lifetimes as one soul is shaped from a killer into a hero, and a single act of kindness ripples across centuries to inspire a revolution. Cloud Atlas stars Tom Hanks, Susan Sarandon, Halle Berry, Hugh Grant, and Jim Broadbent, among others. 2. New Directors Competition. This selection of first and second feature films, a mix of World, North American and U.S. premieres, celebrates the spirit of discovery and innovation upon which the Festival was founded. The Cleaner, Peru (Director: Adrián Saba) – In the midst of a mysterious epidemic that has decimated Lima’s population and shows no signs of abating, Eusebio – a forensic cleaner whose job is to remove corpses and sterilize the apartments of the dead – discovers an eight- year-old boy hiding in an uninhabited house. A grizzled loner who’s never been able to relate to people, Eusebio suddenly finds that he must care for the boy as civilization crumbles around them in this quietly compelling dystopian drama. North American Premiere. 3. Docufest Competition. Real stories, real people, real emotions. This selection of international documentaries competing for the Gold Hugo go beyond the headlines in telling those true stories that surprise, entertain, and challenge us. Numbered, Israel (Director: Dana Doron, Uriel Sinai) – An estimated 400,000 people were tattooed with serial numbers at Auschwitz, of whom only a few thousand survive today. This intimate and visually rapturous documentary details the current lives of some of these survivors,their memories of the camps, and their relationships with the numbers. Numbered is an emotionally affecting portrait of memory and history, and their enduring presence in individual lives. North American Premiere. 4. After Dark Competition. Blood, terror, and dark, twisted senses of humor run rampant throughout this selection of the most chilling films from around the world. Get a first look at tomorrow’s cult classics and midnight favorites. The ABCs of Death, Various (Director: Various) – This eclectic encyclopedia of terror and bloodshed features 26 alphabetized segments, each helmed by a different prominent horror movie director. Spanning 15 countries, the offerings range from chilling and gruesome to irreverent and hilarious, as the directors explore the theme of death in many guises. Essential viewing for horror aficionados, The ABCs of Death is an original, provocative work from a who’s who of modern horror filmmakers. Chicago Premiere. 5. Short Film Competition. This collection of cutting-edge short films—encompassing narrative, documentary, experimental, animation, and student productions—proves that a few minutes can speakvolumes. Seven Short Film programs will screen back-to-back throughout Friday, October 19 and Saturday, October 20. Visit www.chicagofilmfestival.com to view the full list of titles. Shorts 3: Midnight Mayhem, A late night helping of thrillers and chillers, from the supernatural to the bloody to the downright bizarre. Festival Passes, and Theater and Ticket Information. Passport (20 regular admissions): $180 for Cinema/Chicago members, $240 for non-members. Passes can be obtained by visiting www.chicagofilmfestival.com or by calling 312.683.0121. Festival screenings will be at the AMC River East 21 Theater, 322 E. Illinois St.